Great news coming from one of our favorite breweries, Batch Brewing Company is expanding! As the press release below states, Batch Brewing Company will expand their operation into Detroit's North End area in the building previously housing Chaps Automotive. The Batch team will use this new space initially as a packaging and distribution facility along with space for their mixed culture/sour beer program and wild fermented cider program. We look forward to the continuous success of our friends at Batch Brewing Company. Detroit, MI: Batch Brewing Company continues its growth with the acquisition of a new building in Detroit’s Milwaukee Junction / North End area. Previously Chaps Automotive, the building located at 2841 East Grand Boulevard will serve initially as a packaging and distribution facility, as well as Batch Brewing Company’s ‘Funk Room’, providing additional space for their mixed culture / sour beer program, as well as their wild fermented cider program. Future plans are being developed for the location, including an eventual second taproom. This will bring Batch Brewing Company’s beer, cider and food to the North End area, as well as allowing for a community gathering and event rental space. “The strong community ethic and quality product that Batch Brewing Company brings adds another great craft business to this emerging neighborhood,” said Sue Mosey, Executive Director of Midtown Detroit Inc.
Batch Brewing Company was recently voted as Best Microbrewery / Brewpub by both Metro Times and Hour Detroit, Best Brewery in Michigan according to Yelp (Thrillist), and was chosen as the #3 Best New Brewery in Michigan by MLive in 2016. Winners of Hatch Detroit in 2013, Batch Brewing Company officially opened their doors in early 2015. Batch Brewing Company’s original location is at 1400 Porter Street in the Corktown neighborhood of Detroit. Detroit, MI – June 2017 –​ The team behind Axle Brewing Co. is thrilled to announce the much anticipated opening of their taproom, Livernois Tap in Ferndale. The sprawling production brewery, taproom and restaurant opens Saturday, June 3rd at 4pm at 567 Livernois Ave. Livernois Tap will be open six days a week, serving their proprietary craft beers, cider, and a menu of ‘inspired beer food’ created and managed by their dynamic culinary partners, Four Man Ladder, the team behind Grey Ghost Detroit. Axle’s Livernois Tap is a modern American interpretation of a classic European beer hall, inspired by contemporary breweries, urban parks and communal gathering spaces. Livernois Tap will have a rotating list of 12-15 beers on draft including their flagship beers along with seasonal pours and tap room exclusive releases. In addition to draft pours, 32oz Crowlers will be available to go. Axle’s core collection includes Mother Handsome Double IPA, Livernois Lager, Long Cut IPA, City Pale Ale and Porter. New draft selections include Industriale London Strong Porter, Dual Citizen Cream Ale, Corduroy Brown Ale, 14th Amendment Kolsch and others. The brewery team is led by award-winning head brewer Adam Berretta. Grey Ghost Detroit Chefs Joe Giacomino and John Vermiglio have brought on Chef Reid Shipman (formerly of Gold Cash Gold) to co-create the menu. The menu is divided into snacks, vegetables, ‘stuff on bread’, ‘from the cast iron’, sides and desserts. Stand-out dishes include a Fried Bologna Corn Dog, Crispy Animal Parts and Buffalo Fried Green Tomatoes. Floats will be a featured dessert featuring Axle’s beer and a rotating artisan ice cream. All team members are available for immediate interviews. Keep up with Axle Brewing Co.
Axle Brewing Company is a Detroit-area craft brewery dedicated to producing classic beer styles with a modern edge. Led by President Dan Riley & Head Brewer Adam Beratta, they began distributing beers through area wholesalers in late September 2015 in both retail stores and on draft in bars and restaurants. Axle currently distributes six different beers in cans and draft with many more in the pipeline. In 2017, Axle opened Livernois Tap, a modern beer hall-style destination & brewery in the South End of Ferndale, MI. Located at the intersection of Detroit and suburban communities, Axle’s Livernois Tap welcomes beer-lovers from around Southeast Michigan to come together, drink craft brews and cider, and devour inspired beer food in a stunning setting. Four Man Ladder Management is the management company for Grey Ghost Detroit in the Brush Park neighborhood of Detroit, Michigan and Livernois Tap the taproom for Axle Brewing Company, located in Ferndale, Michigan. The company is a Detroit based venture led by two veteran chefs, a barkeep and a ‘business guy.’ Four Man Ladder is the culmination of years of dedicated, unbridled enthusiasm to their respective crafts, business and leadership. On todays episode I sit down with Joe from HomeGrown Brewing Company out of Oxford, MI. John and Marie Powers have spent the last year renovating the former Veterans Memorial Civic Center in downtown Oxford. Homegrown Brewing will showcase 6 flagships beers which include Cream Ale, a Belgian Wheat, an Australian-hopped IPA, a nutty Brown, a rich Stout, and an original style that John's coined a "Whamber" (a combination of Amber Ale and Wheat styles). The brewery is a family business through and through. John and Marie will keep a hands-on approach, with John Brew Master and Marie as the Interior Designer, while their children also bring their skills to the brewing endeavor. Their son Joe returned from Australia to work as Brewer and Production Manager, his wife Kate assists as Media Liasion, Jeff Powers overseas Brand Design and the front-of-house as General Manager, and the youngest sibling Katie Powers leads the Social Media program. I sat down with Joe, who was nice enough to give me some time day during brew their day to get a inside look at HomeGrown Brewing Company. Thats right its another edition of the Six Pack of the Week. Remember if you would like to make an intro song for the six pack of the week post it on SoundCloud and tag it with #SixPackofTheWeek. This weeks pick is a N.E. IPA from Old Nation Brewing Co. called M-43. M-43 is the first release in Old Nation's "New Orthodox" IPA series. 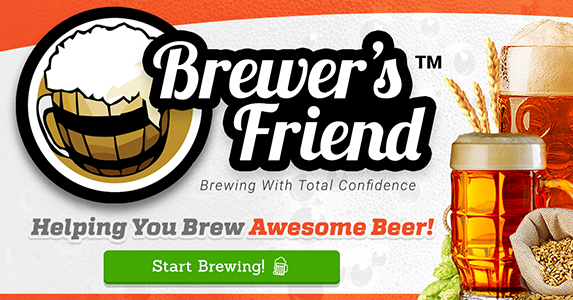 It is designed to accentuate the deep and complex character from the combination of Amarillo, Citra, and Simcoe hops. This beer has a big citrusy/tropical aroma and flavor with notes of Pineapple, Mango, and Grapefruit. The hop bitterness is not particularly intense, which lends itself to a very drinkable, juicy IPA. The beer has a very destinctive haze not from the yeast, but rather from an interplay of lipids from the malted oat and oils and acids which naturally occur in the hand selected Dry hops. The Slurred Words Six Pack of the week is sponsored by 9 & Hilton Market, located at the corner of 9 Mile Rd and Hilton Rd in Ferndale MI. With a great selection of craft beer, wine, and spirits you are for sure to find something to enjoy. So head on down to 9 & Hilton Market and tell them Bill sent you. You can find me on all social media platforms at @BillsBeerReport. Make sure you hit me up on Facebook.com/BillsBeerReport to stay up to date on all the podcats and website articles. Remember to rate, review, and subscribe to the podcast on iTunes. Every rating and review helps get the podcast noticed. Now lets get to Joe from Homegrown Brewing Company in Oxford, MI.